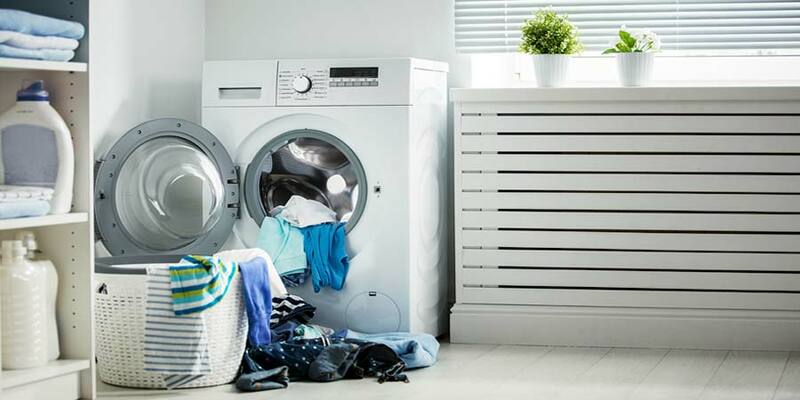 There are many misconceptions about laundry units in small places. Many people believe that you have to use a small, compact or stackable unit when living in smaller spaces. 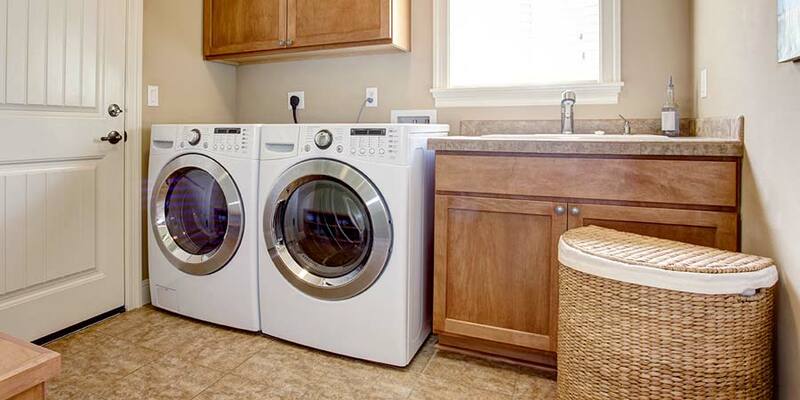 The truth is, you have a wide variety of options for your laundry needs, even if you live in the smallest of spaces. How Are Washer Dryer Combos Different? Consider a washer dryer combo. If you think they use too much energy, or take too long to dry, then think again. In many cases, the easiest way to fit a full-size washer and dryer into the smallest living spaces is to combine them into one unit. You do not necessarily have to use apartment or dorm room style washer and dryers when you have a small space to work with. You can use a full-size unit, just combine it into one machine. There are many benefits of having a washer dryer combo. Not only does it save you a considerable amount of space, but they’re incredibly easy to use and gentle on your clothes. Most combo washer dryers don’t need to be vented, like a standard stand-alone dryer does. This allows you to use your unit anywhere there is electricity and a water connection. For example, the popular EdgeStar Ventless washer dryer combo allows you to wash and then dry your clothes in one unit. Back in the 1980s when these type of units started to appear, they did take a long time to dry, which made them an unpopular choice for anyone other than a boat or RV owner. Modern units blow those misconceptions out of the water with dry times of as little as 45 minutes for a full load. There are a couple models of washer dryer combos that run on a mere 110 volts, instead of the stand alone units that use 220 volts and may take a little longer, sometimes around 90 minutes. 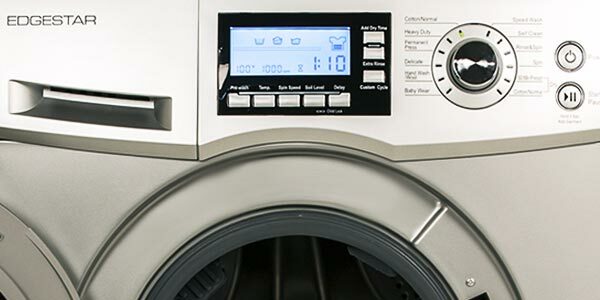 Another misconception is that a combo washer dryer has poor energy usage. Many people assume that they used more energy than the regular units, because they have more features. The truth is, condensing dryers use anywhere from 50-70 percent less energy than vented dryers. They are designed to be very energy efficient and economical for the daily needs of a consumer. 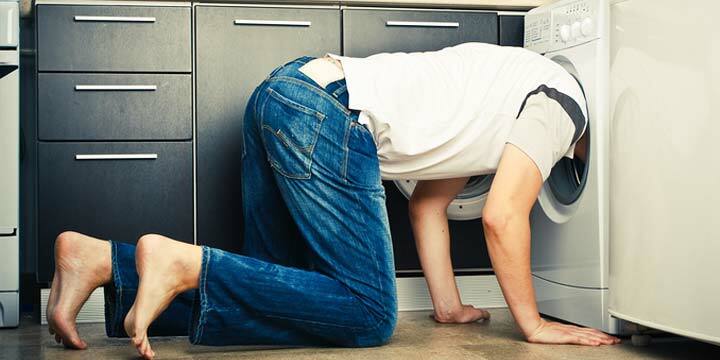 Other common misconceptions include the worry about moisture being put back into the area surrounding the dryer. But, this is also not true. The condensing dryers use a closed-loop system to prevent any heat, lint or moisture from being released into the air. The units use a dehumidfying process to ensure that there is no release of moisture into the air. While many people believe that the units’ load capacity is tiny, in most cases, the loads are comparable to that of a full-size unit. Combo washer dryers are UL and ETL approved, making them an ideal solution for anyone. The common misconceptions about these laundry units in small spaces are all just that – misconceptions. The product flaws and features of decades ago have since been corrected, refined and enhanced to meet the needs of the consumer. 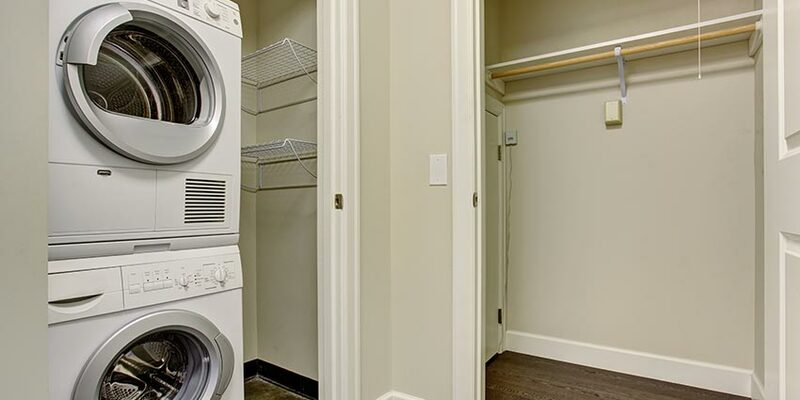 The fact of the matter, is that if you are pressed for space and don’t want to compromise on the functionality of your laundry room, then a washer dryer combo may just be the best fit for you. Which washer dryer combo do you recommend? For me, I chose the LG and every year I’ve had it, I had to have it serviced at least 1 or 2 times. This year April 2016, I am going on my 2nd or 3rd service call. The heating element and drainage gave me the most issues. The last issue I had was the shutoff valve malfunctioned and would open the drain to let water in during the dry cycle. I do like it for the convenience of not having to take the clothes out of a machine twice. I like the deal of set it and forget it until it whistles at you that it is done. I too, would like to know which washer dryer combo you would recommend. I seem to read a lot of negative reviews primarily of the ventless dryers. It would be nice to hear from anyone who is truly happy with their unit! I have an edgestar unit. Not sure the exact model, but I bought it here.. I have no complaints about it, and neither have any of the guests that have used it. Sometimes the clothes may be a bit damp, but that’s only the really thick clothing and hang drying them for 20 minutes usually gets it completely dry. .
I’m considering the EDGESTAR COMBO BECAUSE OF THE FAVORABLE PRICE. wHAT DO YOU THINK? I have the Edgestar combo in my guest house. It was a fantastic purchase and I have no complaints about it. Please provide me a price for the washer/dryer combo that is on your web site. I bought a 2.3 cu ft LG combo ventless dryer in November 2 years ago. LOVE IT!! Works great, have had zero problems with it. Sometimes I wish I’d bought a slightly bigger one, but in reality, the size is just fine for the amount of laundry I do. I must have gotten a defective combo, I bought the large capacity $1400. For me, I chose the LG and every year I’ve had it, I had to have it serviced at least 1 or 2 times. This year April 2016, I am going on my 2nd or 3rd service call. The heating element and drainage gave me the most issues. The last issue I had was the shutoff valve malfunctioned and would open the drain to let water in during the dry cycle. I do like it for the convenience of not having to take the clothes out of a machine twice. I like the deal of set it and forget it until it whistles at you that it is done. is there a combo unit that i can vent?? Price and where to buy the best combo. I purchased a Splendid 2100XC vented W?D combo to be installed in our RV tomorrow. We camp frequently and the Laundry chore was not my most fun thing to do. Hopefully this will be as good as the articles say. So I saw your comment. Was it a good one? If so, I will buy one for my house and one for my rv. Please let me know. I am looking into a w/d combo & would like to know if I can connect it to the available hot/cold water. I understand it does not have to be vented, which is great. But very little has been said about the hot/cold connections. Depends on the unit. Some just require a cold water connection as they have internal water heater. My LG ventless combo has a hot and cold connection. The lifespan of mines was 2010 – 2016. I could get it fix, it’s just that I have been doing that at least 1 or 2 times a year. water must be closely monitored for you home as the water if too soft becomes corrosive (acid like) to the mental components. too hard and buildup of minerals causes clogging. in normal you have to have the units serviced once to twice a year. don’t have service or have water properly balanced then you will expect service every 3 to 6 months. All of these combo units need only cold water supply, they heat the water in the unit. Do you know the amp usage, not requirement? Can somebody please explain to me what the “vented” function is. I have no idea! Thank you! The Vent is to remove the Hot Air and Humidity that is produced by the Dryer. Instead of it releasing the Hot Air and Humidity into the room it is in it is vented to the outside via a pipe on the Dryer. Another way of dealing with the Hot Air and Humidity is to run it through a dehumidifier before letting it go into the room the dryer is in. I am looking into purchasing a w/d combo soon. Do the combo units automatically go into dryer mode? Or do you have to start it after the washer is done. I like to hang clothes outside on a clothesline to dry when I can, but living in Minnesota does not always give you that ability. You can set both wash and dry or just wash or just dry with the LG unit I have. If you could chose between a unit with the vent or ventless (my small kitchen accommodates both,) which would you chose? 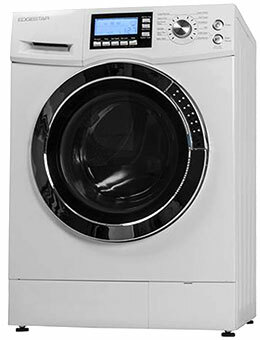 Also, what is considered the best all-in-one washer/dryer, no matter the cost? I’d rather pay more now and and purchase a unit that works well and that doesn’t need repair. I don’t want to have to hang clothes to let them air dry, as is described in some of the comments. Thank you very much–I’m downsizing considerably, but last time I used communal washer/dryer in this upscale community, I found a drowned mouse in the washer. That was it for me. choose vented if you have the option. it doesn’t have as many maintenance issues. I bought the LG combo W/D 10 years ago from this site. I’ve have no more than 4 or 5 service calls in 10 yrs. and it’s really been fantastic. I can’t have WD connections in my little condo but didn’t want to go use laundry rooms so this unit has made my life so much easier. I have the portability kit. If/when this unit dies, I will be buying another. No, can’t do certain items like big comforters or rubber-backed bath mats, but honestly, it’s a GREAT option for me. No regrets at all. Can you tell me more about them. thanks. I love my Edgestar 2. cft. It has made my busy life much easier. Also it so much cleaner then going to the laundry matt in my complex. I think if your not happy with it go back doing it the way you use to. Lugging all your dirty laundry across the complex or to your car. Spending more money and making them rich. Wasting your time sitting there talking to people you don’t know. When you can be in your own place napping, cleaning, etc… I think you get my point. Sorry just being honest. Question about combo unit? I have only used a top loader washer and then front loader washer and front loader dryer, 2 separate units. Many times in the summer, I will use warm weather inside or outside to hang dry. I also use the heat from the wood stove to hang dry in the wintertime often. These combo units look great plus space saving. The only draw back is that you can not use the dryer while doing the next load of wash which occasionally happens with 2 separate units. My dryer uses 220 volts and about 5 KW and depending on type of fabric and how full it is depends on the drying time. If these units only use 110 and do not vent, is there still a lint trap to empty? Also what KW does the drying part consume. How do they dry, Air circulation or does the inside just get warm and tumble with no air circulation? Although the technology works, it is still in the “realm” of being perfected. 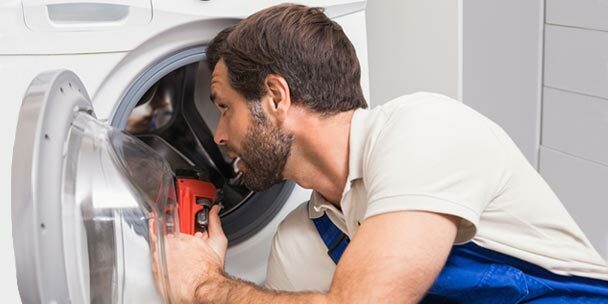 As such there are frequent service visits as there are maintenance functions that users of a traditional washer dryer neglect or don’t realize are needed for the unit to be maintained properly. Example: is that water has to be closely monitored or it may be detremental to the inner workings that make the condensing technology work. If the water is too soft it can be corrosive, too hard it can create calcium buildup clogging workings. Often articles consider the features, but not the long term functionality. Thanks for advice regarding water. I live in an RV resort in Southern California. How do I monitor the water and what is “just right” for best functionality and low maintenance? I need a elec. 24in wide dryer to go in the door, can i buy just a dryer that size? Jeff, you are most likely too young to remember the GE Combo Washer/Dryer, they were a good product for their day. If I remember they were under the kitchen counter mainly in condo’s. I have an LG that I purchased in 2005. When it is working correctly I love it. The pump has failed/been replaced twice. Both times a blade has broken off. Given it’s age and the cost of repair I have given in to just manually draining it after each wash, rinse and spin cycle and line drying my clothes. Even though I haven’t had the best luck with mine I would definitely consider getting another (maybe not LG) in the future. I really like the convenience of putting dirty clothes in and taking clean, dry clothes out. We purchased an LG 2.3 cu. ft. combo ventless unit, Model WM3488HW, and after only a week we already hate it & regret our purchase. It takes about 2.5 hours to finish a small load of laundry. Then the clothes are extremely hot and not dry. We tried to figure how to just dry them and after looking at the manual, calling LGs support desk and a technician coming out 4 days later, we still had no answer. We finally found a way to do it ourselves on the internet. The technician said there is no way to shorten the length of time it takes. The manual is terrible and it is way too difficult to understand what exactly all the setting do, so most are useless. One setting says Wash + Dry, but it didn’t dry the clothes much at all. We now use only 1 setting and have to dry longer. 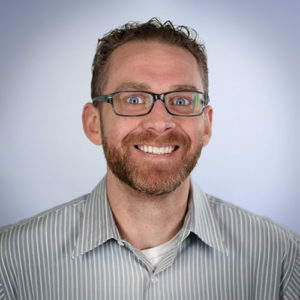 I work with computers for a living, so I’m not technophobic at all. If anyone wants to buy a machine that has only been used for one week, make an offer. We’re done and if they won’t take it back we’re selling it. I need a new washing machine and was researching a combo and am finding that they seem to require a lot of repairs and the drying times are very long being 3 to 6 hours. That is completely unacceptable. Also, I noticed that they all seem to be 120 volts. As a child my parent had an Easy Combomatic washer/dryer and it lasted 15 years or more. Also it required 220 at 30 amps which I guess is why it dried the wash so quick. Also it was vented. Does anyone know it combo washers are still made like that? What is the best washer-dryer combo at 110 volts? Do you recommend stackable units? I need 110 volts whatever the choice. My space is limited. can you dry only with this item? does anyone know of a washer dryer unit that does both and doesn’t require the operator to change the laundry from the washer part to the dryer part but rather does both cycles in one place? Or maybe something that drops the wet clothes into the dryer portion and auto starts it…I want to live in the future already. is it safe to place a wash/dryer combo 2 feet from water heater?? I have a Samsung combo washer dryer – Model WD15F5K5ASG / AX 01. Got it from Sears in Mexico about 15 months ago. There are bigger/better models that cost a lot more. I love the unit. So convenient. I can set it to just Wash, just Dry, or to Wash and Dry (automatically going from wash to dry without a person doing anything). It runs on 110 volts. No vent. (It ‘vents’ out the water drain). It has both cold and hot water connections, but it rarely if ever uses the hot water connection – it seems to prefer to heat the water up itself. I don’t think it needs a hot water connection. I had it serviced once when an inside hose started to leak (under warranty, cost me nothing). It typically takes a long time to dry – a few hours. But it is highly efficient, and I don’t have to be there. So I don’t care that it takes a while. Often the clothes come out just a tiny bit humid – not quite fully dry. Put them on hangers and they dry quickly, also there is a “more dry” setting that I do not use. I can wash a full load, but if I want to dry it, it must be only a half load – the clothes must have room to tumble. Thus I wash and dry a lot more loads than i would with a separate full size dryer.